A shutdown was observed in the valley on Saturday as large numbers of people participated in the funeral of Kaisar Ahmad (21) who succumbed to injuries that he suffered on Friday when he was run over by a CRPF vehicle whose driver tried to escape from a violent mob that had surrounded the vehicle in the downtown Nowhata. On the other hand, Home Minister Rajnath Singh is coming to J&K next week to review the situation and see whether the unilateral ceasefire announced by the government could be extended. Singh discussed the matter yesterday with Defence Minister Nirmala Sitharaman as grenade attacks at security personnel have increased during the Ramzan ceasefire. The separatists, Syed Alishah Geelani, Mirwaiz Umar Farooq and Yasin Malik, had already given the call for shutdown today against the civilian killings and death of the youth came around mid-night yesterday in a Srinagar hospital where he was admitted. 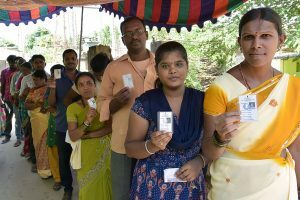 Normal life was thrown out as train services also remained suspended across the valley as a precautionary measure. Security forces used tear-smoke to disperse unruly mobs that raised anti-India and pro-freedom slogans at the graveyard. Authorities placed Mirwaiz Umar Farooq under house arrest and arrested Yasin Malik to prevent them from taking part in the funeral and further instigating violence. 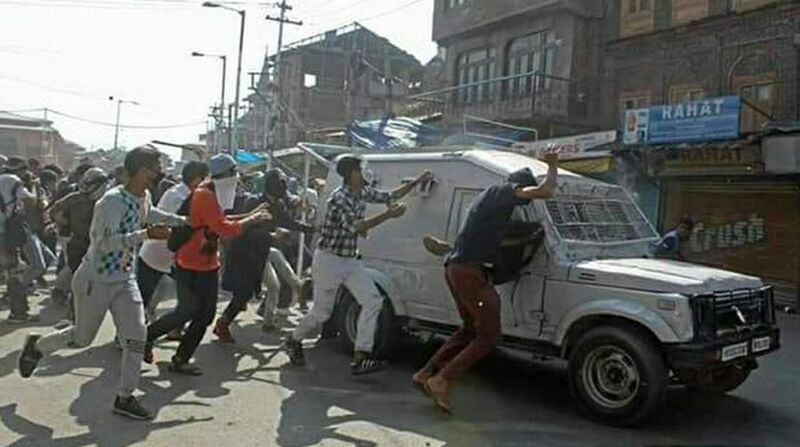 Reports said that the youth was run over when miscreants were trying to break the windscreen and doors of the CRPF vehicle they had surrounded and the driver in a bid to save life of occupants tried to speed away from the violent mob. Security experts pointed out that keeping in view the unilateral ceasefire announced by the centre, the CRPF personnel trapped in the vehicle had two options before them,either to open fire to save their lives or exercise restraint and flee from there otherwise the mob was bent upon lynching them. The driver sped the vehicle but in the process one among the violent mob got run over and critically injured. This is second such incident in Srinagar during the past few days. Authorities imposed restrictions in the downtown areas and snapped internet services in sensitive areas. Situation remained tense in the valley as most Kashmir centric political parties and separatists were trying to create an impression as if the CRPF driver had “intentionally” run over the vehicle on the protestor. Former chief Minister Omar Abdullah “Earlier they tied people to the fronts of jeeps and paraded them around villages to deter protesters now they just drive their jeeps right over protestors. Is this your new SOP,” Abdullah said and tagged Chief Minister Mehbooba Mufti. Omar said; “Is this your new SOP @ Mehbooba Mufti sahiba? Ceasefire means no guns so use jeeps”? Minister of state in PMO, Jitendera Singh in his tweet said; “Selective condemnation of violence by Kashmir apologists”. He said nothing is more condemnable than attack on security forces. There has been a practice in Kashmir centric political circles to make security forces a soft target but they don’t have courage and conviction to call a terrorist, a terrorist.